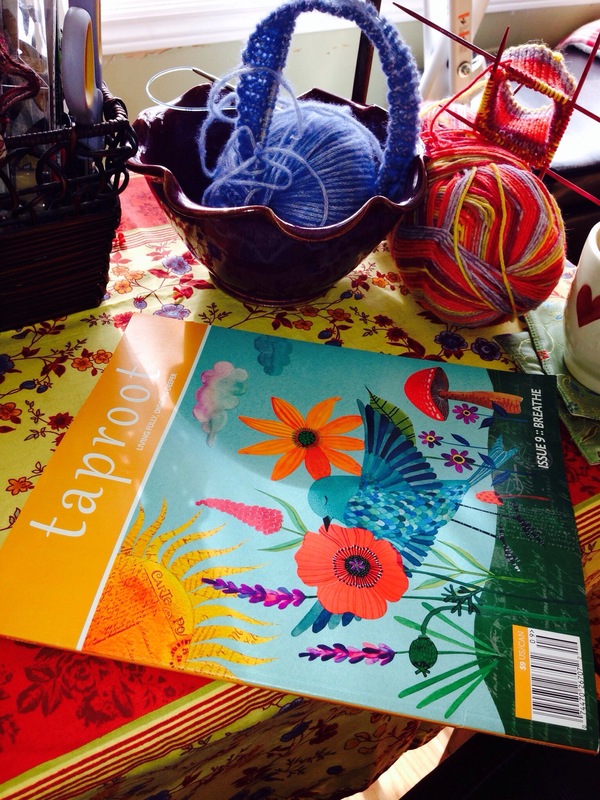 I received my new issue of Taproot today. Ad-free independent publishing. It’s beautiful inside also. The photography, artwork, and writing is breathtaking. I love the smell of new pages. Even though it traveled so far to my mailbox, It has everything I love even a beautiful knitted shawl pattern called Lola by Carrie Bostick Hoge.